We have affordable, flexible financing available for your home project. We view the improvement of your home as a sound investment, not as just another purchase. With economic inflation and the rising cost of materials, it has never been a better time to invest in your home. 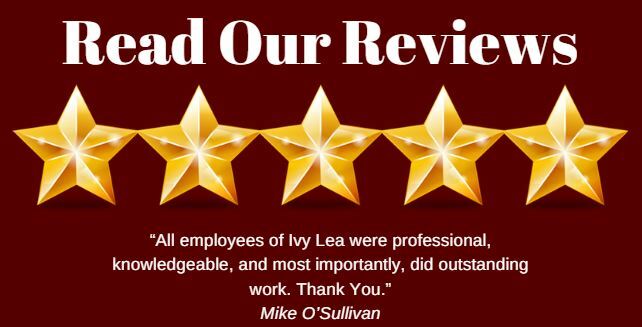 At Ivy Lea, we will make sure it happens quickly and responsibly. Ivy Lea can get most approvals within 24 hours. 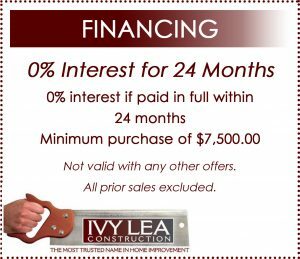 Ivy Lea offers several different financing options. We’ll help you find the one that’s best for you! Any home improvement project will cost more the longer you wait due to inflation. The time to improve your home is now. You can afford the home improvements that you have always wanted. 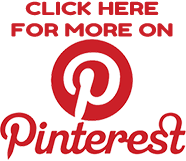 Let Ivy Lea Construction, Inc. show you how! Using Energy Star® products can help you save up to 40% on energy costs by improving your home’s insulation and heating system using Ivy Lea Construction, Inc. Energy Star® offers several financing options to help you get your home improvement projects started. Low-interest, unsecured loan, for 1-to-2-family, owner occupied homes. Up to $13,000 loan limit, 5, 10, or 15-year term. Ask your contractor for current rate. Work must be performed through the Green Jobs Green New York Program. May be combined with options 2 and 3. Available to income-qualified homeowners, as part of the Home Performance with ENERGY STAR® commitment to making energy efficiency affordable to all New Yorkers. 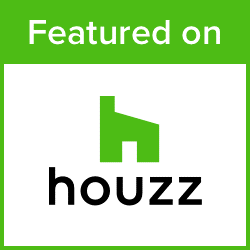 $5,000 (maximum) available for single-family homes. $10,000 (maximum) available for 2-4-family homes. Work Scope Incentive is paid directly to the contractor. Work must be performed through the Home Performance with ENERGY STAR® program. May also be combined with option 1. Homeowner receives a cash incentive of up to 10% of the workscope (eligible measures only). Incentive paid directly to homeowner by the New York State Energy Research and Development Authority (NYSERDA). Any 1-4 family home is eligible. Work must be performed through the Home Performance with ENERGY STAR® program.